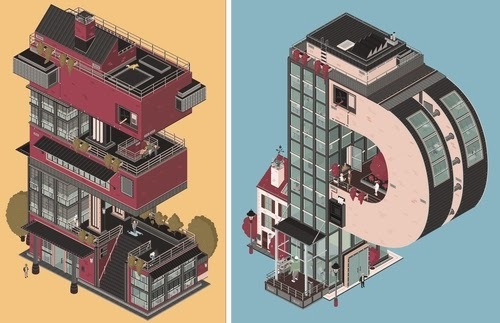 German Graphic Designer and Co-Founder of Kollektiv Kjosk, Florian Schommer, brings us these brilliant examples of animated Typography. His newly formed company is trying to bring something new and fresh to the illustration market. They specialise in fields like music, fashion and art. Their slogan is "Let’s stop monotony!". Please give the animations some time to get started. The top image is the only one that does not animate. (please give the animation, time to load).